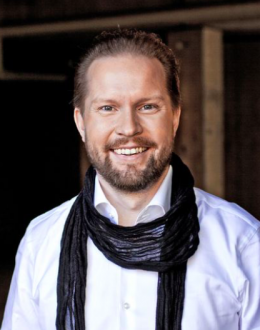 Pekka Himanen (born October 19, 1973) is a Finnish philosopher. Prof. Himanen is one of the internationally best-known researchers of the information age, whose works on the subject have been published in 20 languages from Asia to America (English, Chinese, Japanese, Korean, Taiwanese, Indonesian, Russian, Ukrainian, Turkish, Portuguese, Spanish, Catalan, French, Italian, German, Dutch, Croatian, Estonian, Swedish and Finnish). After obtaining his PhD in Philosophy as the youngest doctor ever in Finland at the age of 20 (University of Helsinki 1994), Himanen moved to carry out research first in England and then in California (Stanford University and the University of California, Berkeley). The best-known publication of this research is the book The Hacker Ethic (Random House 2001). Himanen has also coauthored with Prof. Manuel Castells the influential book The Information Society and the Welfare State (Oxford University Press 2002), which has been discussed worldwide in the leading academic and political circles. Himanen is nowadays a popular lecturer around the world. As a sign of his impact, Himanen’s work has been recognized with several awards, such as the World Economic Forum’s respected Global Leader for Tomorrow Award in 2003. Dr. Himanen has also had an important role in the actual making of the information society policy. Recently, he has advised the International Labor Organization’s High Level Commission on Globalization on the building of a socially sustainable global information society. In Finland, Dr. Himanen has recently finished the preparation of a new information society strategy for the Finnish Parliament’s Committee for the Future. Himanen’s untraditional work has always also had a broader cultural impact. This includes the media: Himanen is frequently interviewed by the media around the world, from TV programs to newspapers. He has also authored numerous articles, e.g. to Time Magazine, and hosted his own TV series called The Net Academy (the Finnish TV1). Himanen’s cultural figure has even inspired a provocative theater play, Cherished Disappointments in Love, that has been performed in Finland and in London (Soho Theatre). This satirical play of Jouko Turkka is a story of an older female newspaper editor falling in love with the young philosopher “Himanen”! Professor, Aalto University (2005-2014), Visiting Scholar, University of California, Berkeley (2013-2014), Visiting Professor, Oxford Internet Institute, University of Oxford (2005-2013), Principal Scientist, Helsinki Institute for Information Technology (joint institute of the University of Helsinki and Helsinki University of Technology, 2005-2010), Visiting Professor, Internet Interdisciplinary Institute, Universitat Oberta de Catalunya (2010), Visiting Scholar, UC Berkeley & Director of the Berkeley Center for Information Society (2000-2003). He is a member of selected international research networks. Professor Himanen is a Co-Founder of the Global Dignity initiative in 2005, with Crown Prince Haakon of Norway and John Hope Bryant, a member of President Obama’s advisory council on financial capability. It has operated in over 50 countries worldwide. Global Dignity initiative includes Nobel laureates Professor Amartya Sen, Archbishop Emeritus Desmond Tutu, President Martti Ahtisaari as well as Sir Richard Branson and Ambassador Andrew Young as its Honorary Board members.